entertainment. At present it is offered for 1099 Euro on the website of the manufacturer. This is not a test report, but a small presentation of the this laptop type. The video card RADEON X300 is positioned in the performance class 4 (1=best, 6=worst) of our comparison of video cards. Some current not fastidious games can be played fluently with low details. 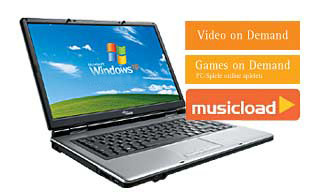 Bench mark: about 7000/1900 3DMark 01/03; Compared with the (up to now by us) 40 tested laptops the video card performance of this laptop is to be positioned in the average zone. 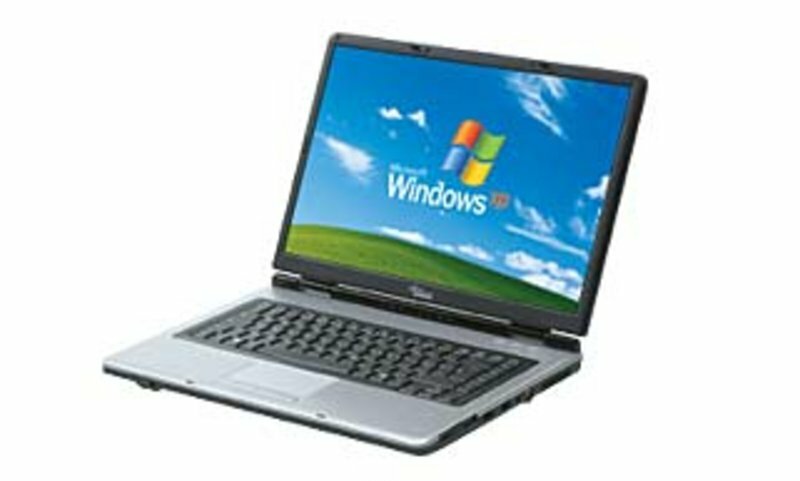 15.4" widescreen displays are a very frequently used format for notebooks and represents an average size for laptop screens. The weight of 3 kg of the AMILO M1451G is average, too. About half of the models tested by us weighs about just as much (list). The enter key has normal size, but it is encircled by page run keys (danger of wrong clicks). The arrow keys are separated from the remainder of the keyboard (favorably for players). The mayor part of the case is made of plastics and therefore probably not so durable as metal cases. 2 USB connections on the right and on the left side are a generous amount and pleasant for right-handed and left-handed people (no mouse handicap by cables). There are no PCMCIA Slot, but an express-cardreader. The ventilators switch themselves in/out automatically. The silent mode, which can be activated, throttles the performance and so reduces the noise of the ventilator and current consumption. Regrettably the ventilator exit is (as with MSI Megabook 635 and Megabook 645) on the right side. At least it is positioned in the rear area of the side (contrary to the two models mentioned). Nevertheless the hand of right-handed people with mouse is strongly warmed up during higher load. ATI Mobility Radeon X300: The ATI Mobility Radeon X300 is a X600 with a memory bus cut in half (64 Bit). 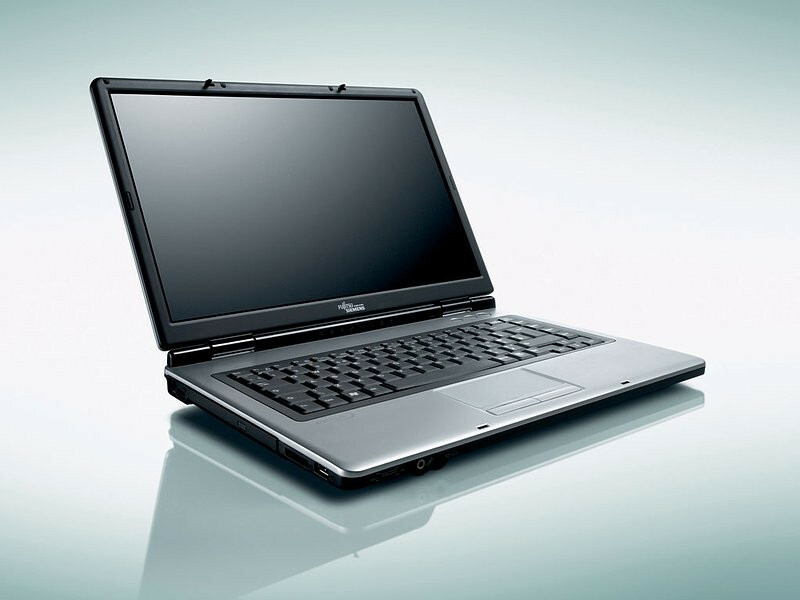 The performance is somewhat above the current integrated graphics of Intel GMA950. These graphics cards are not suited for Windows 3D games. Office and Internet surfing however is possible. » Further information can be found in our Comparison of Mobile Graphics Cards and the corresponding Benchmark List. RAM: 512 MB MB DDR RAM, 2 GB max.